Tests with two stations are scheduled toward the end of 2018, with deployment of 28 more beginning in 2020. Nikola plans fleet tests of its hydrogen electric semitrucks in 2019. The first two stations will be installed in Arizona and California, depending on permit timelines. The contract also includes an initial order for a pre-engineering package of around $1.5 million, where Nel Hydrogen will develop a station design, including electrolyzers, specifically made for fast fueling of Nikola trucks. Nel will continue to work, in collaboration with Nikola, to finalize the detailed station design and other technology elements to be deployed for the commercial stations. 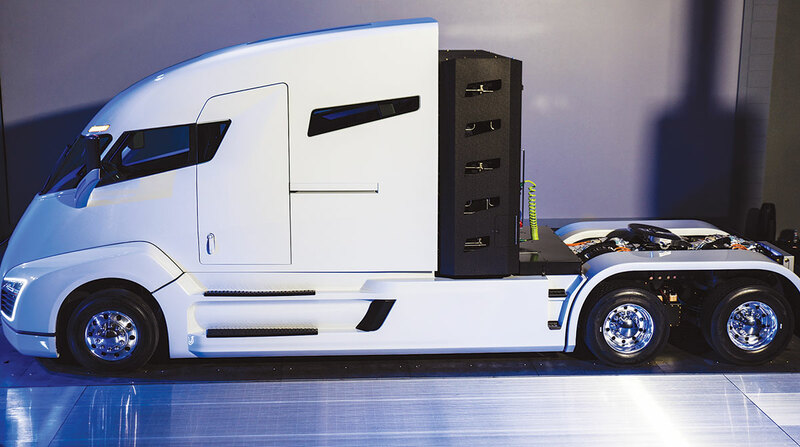 The future for zero-emission trucks has never been brighter. The additional 28 stations will be installed on each route outside of Anheuser-Busch’s breweries or their distribution centers, Milton said. In May, Anheuser-Busch placed an order for up to 800 hydrogen-electric powered heavy-duty day cabs from Nikola as the beverage company signaled its intention to convert its dedicated fleet to trucks powered by renewable energy sources. Each station will produce 700 bar [of filling pressure] and will be compatible with Class 8 trucks and passenger cars, Milton said. The electrolyzer stacks will be manufactured in Norway and the fueling equipment in Denmark. However, other supporting components and sub-systems will be sourced locally in the U.S. to reduce costs and minimize transportation needs. At the same time, Nel announced it was considering expanding its production facility plant in Norway, where it is headquartered. “We’re looking at a total contract volume which is many times higher than the current annual production capacity at Notodden. While we have not reached any conclusions on an expansion to accommodate the order, we want to reiterate our plans to develop the Notodden facility into the world’s largest electrolyzer stack manufacturing facility, aiming at a cost reduction of around 40%,” Nel CEO Jon André Løkke said.